Does Norway’s Dropped CCS Project Spell Doom for Carbon Capture? 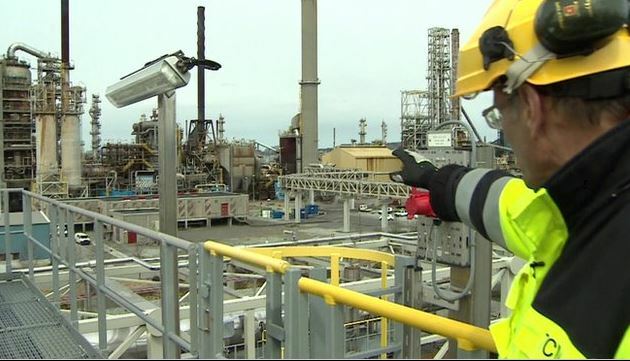 “One of the ugliest political crash landings we have ever seen,” Frederic Hauge of the Norwegian environmental group Bellona said about the demise of the project at Mongstad and the nation’s attempt to lead the world in carbon capture. The proposed facility was supposed to capture carbon emissions from a natural gas plant at the Mongstad site, which also houses an oil refinery, and pipe them into underground storage on the Norwegian continental shelf. There’s still a research center at Mongstad “testing various carbon capture schemes.” The center is allocated about $67.4 million over four years, a far cry from the $300 billion-plus that Norway’s auditor general disclosed would be spent on carbon capture and storage projects from 2007 to 2012. The strategy of carbon capture and storage (CCS) entails removing CO2 from coal plant emissions before it goes up the stack and into the air, putting it under high pressure, and then injecting it into the ground where it cannot contribute to global warming. Norway’s CCS facility would have been the first high-profile project in operation, proving that it could work on an industrial scale. That makes the Mongstad failure even more of a psychological blow to carbon capture devotees. This article was originally published on ThomasNet News Industry Market Trends and is reprinted in its entirety with permission from Thomas Industrial Network. For more stories like this please visit Industry Market Trends.